Antony and the Johnsons is a New Weird America band from New York City, composed around the singer / songwriter Antony Hegarty. Antony and the Johnsons is mostly ballads and their numbers are described as "chamber music" because of the use of strings and woodwinds. 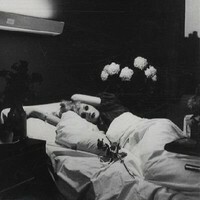 The special falsetto Antony determines the sound of Antony and the Johnsons. They broke through in 2005 with their album I Am a Bird Now. 2012 EU 180 gram LP+CD=2016 EU 180 gram LP+CD -Solo Debut from Lead Singer of Antony and the Johnsons Co-Produced by Oneohtrix Point Never & Hudson Mohawke!